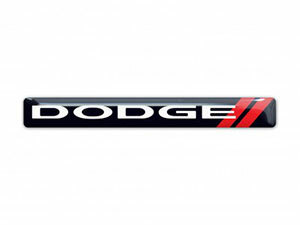 Dodge might not be sticking around, but we’re here to stay. Our clients expect quality used Dodge Engines for sale. They need them cheap and reliable. If you’re looking for low-mileage used Dodge Engine, we’re on it. After 30 years of acquisition, repair, rebuild and distribution of power train products and compatible used Dodge transmissions our family understands your need. With tens of thousands of units ready to ship FREE to US and Canada, you can find the right mileage and the perfect warranty. Most come with a secure 100% money-back guarantee. Call with your VIN and the shop address. All quotes are FREE. We even work after hours to find you any Used Dodge power train and drive train products Just call and leave a message. We love shop talk. Who isn’t interested in the quick-tempered nature of a Dodge Hellcat and its 6.1 Hemi engine with 700 hp? Not most, actually. Nor are you at this moment. You’re probably more interested in resolving sludge build up issues or the results of a leaky water pump. If you drive a early release award-winning Dodge Caliber (2007-2009), you’re looking for a 1.8 liter Chrysler World Gas Engine. Some of ours are used versions, but all rebuilt or remanufactured Caliber Engines end up with its original ratings of 148hp at 125lb ft torque or better. Work is performed in house for pure quality and lower costs. This one was mated to a 5 speed Magna manual transmission, a 6 speed Aisin or Getrag manual transmission and there was one option of a CVT automatic transmission. We provision the used Dodge transmission that our clients need. The World Gas Engines with iron cylinder liners and variable valve timing evolved into 2.0 liter and 2.4 Liter beasts. Both are dual overhead cam 4 Cylinder engines, one with a boosted turbocharged option. These were shared across platforms including the Chrysler Sebring, Chrysler 200, the Dodge Avenger, the Dodge Journey as well as Jeep Compass and Patriot models. Later it grew up and married into the Tigershark family marketed by Fiat Chrysler. The 2.0 Liter DOHC I4 should be clocking 160hp and 148lb ft of torque with a 10:2:1 compression ratio. This is the one to use as a replacement engine for Dodge Dart of which had four possible transmission options at the time of sale. We carry all those, too. Dart transmissions are either used or remanufactured depending on original quality. They don’t always get it right from the beginning and we fix these. Later years would see this family of engines including a 2.0 Liter capacity as well as a 2.4 Liter option. The 2.4 liter is probably the one if you drive later model Dart, a Jeep Cherokee, Fiat 500X, or a Jeep Compass. These cars were sold with other non-TigerShark engines and we distribute them all. Shipping is FREE and we provide real-time tracking. We cycle through engines for the second generation of Intrepid models and the same for Concorde. If you’re driving one of these, you most likely are needing a 2.7 Liter V6 engine as it was commonly sold with the base models. Otherwise, you need a 3.2 liter or a 3.5 Liter that were options at the time of original sale. These are usually found remanufactured because of initial sludge build up problems. However, if you’re looking for a used version call and check. Don’t be surprised if you find a refurbished engine very affordable. We get things done. The engines like those in the Intrepid were replaced with the Pentastar family of V6 engines. Displacement started at 3.0 liter on up to 3.6 liters. They’re all dual overhead cam with aluminum die-cast blocks. If you’re needing a used low-mileage engine, you’ll have the best luck if yours is a Pentastar. These engines were routinely sold in the base model Intrepid as well as a Jeep Cherokee, Chrysler Town and Country, Dodge Avenger, Charger, Durango, and the Journey models. They are notorious for reliability. Ford used them almost everywhere and they upgraded after 2016. Your VIN will let us know. After Hours Service – Leave a message! Our massive inventory includes products for light-duty, medium-duty or heavy-duty Dodge Pickup Trucks, used Pickup Truck transmissions, used Dodge SUV engines, transfer cases, replacement differentials, drivetrain parts and more. For example, ours includes but is not limited to the likes of a 3.9 liter Magnum V6 or if yours is a V8, it’ll be a 4.7, 5.7 or 5.9 liter. These start at reaching 235hp and 295lb ft of torque and reach 245hp @ 4,000 rpm and 335lb ft @ 3,250rpm for your payload if you drive a Durango, Dodge truck or SUV. We have all of the mated used automatic transmissions you need whether it is a 4 speed, 5 speed or 6 speed.